Strawberry Acres, Lot 4 was purchased by the Southeast Alaska Land Trust in 2006 and donated to the City and Borough of Juneau as an addition to the Amalga Meadows Natural Area Park. It was acquired with funds received from the Kensington Mine for mitigation purposes. The lot is 3.62 acres within the anadromous Strawberry Creek drainage, which feeds the Herbert and Eagle River systems and contains valuable wetlands called fen wetlands. Fen wetlands are nutrient-rich peatlands with high levels of groundwater inflow, resulting in a less acidic environment than the more common bog-type peatlands. Consistent flow and water temperature creates ideal rearing and overwinter habitat for a variety of fish species. Strawberry Creek contains sockeye, coho, pink and chum salmon and dolly varden, with cutthroat trout present in the nearby Eagle River. 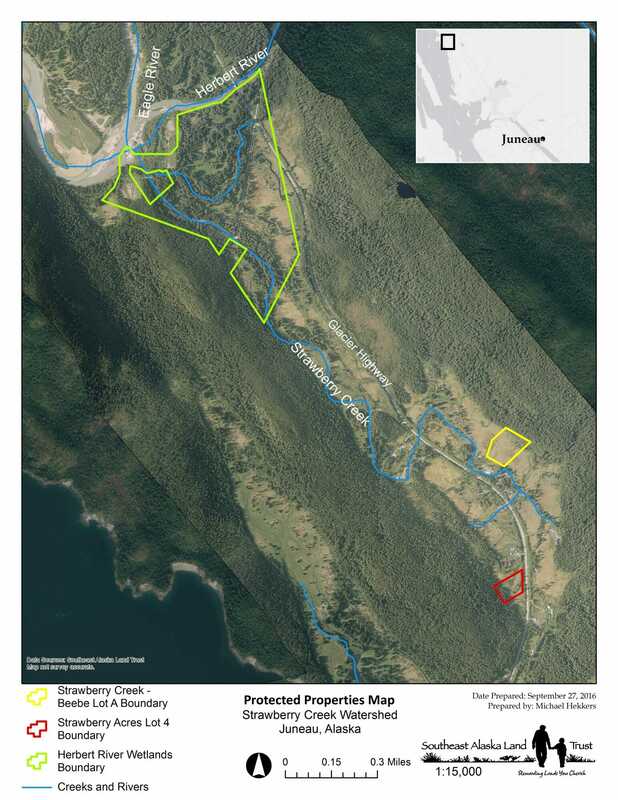 Strawberry Acres conservation easement is located at mile 25 of Glacier Highway and is Adjacent to the Amalga Meadows Natural Area Park.